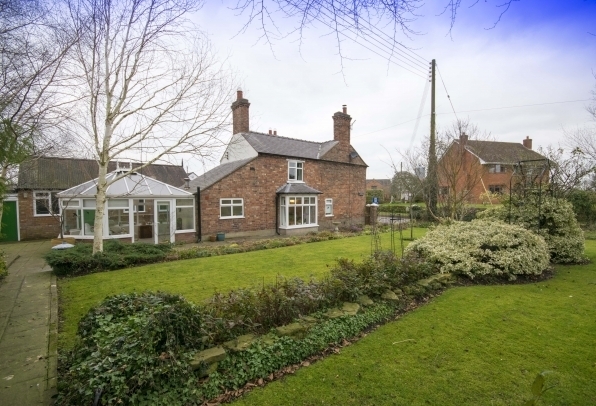 A well-presented 3 bedroom detached period property with delightful gardens and views over the open countryside. 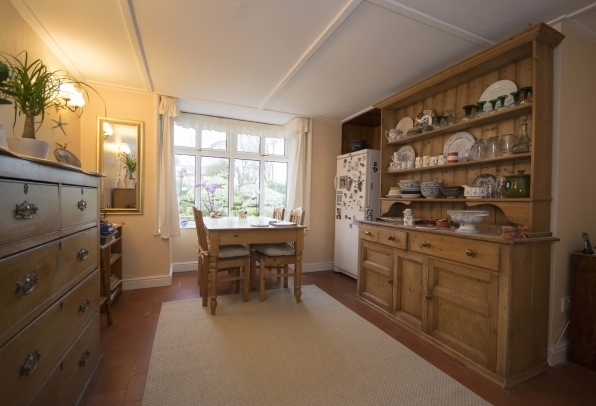 The Old Post Office is a very well presented period detached property which has been sympathetically improved to retain many of its original features. Situated in the semi-rural location of Northwood, the property has a detached garage/studio with driveway parking and benefits from both UPVC double glazed windows throughout and oil fired central heating. The lovely mature gardens are a particular feature of the property which have views over the open countryside from the rear aspect. The front entrance door opens into a hallway with Minton style tiled flooring and stairs leading up to the first floor. A door leads through to the lounge, which has a recessed fireplace with inset log burner, a slate hearth and quarry tiled flooring. 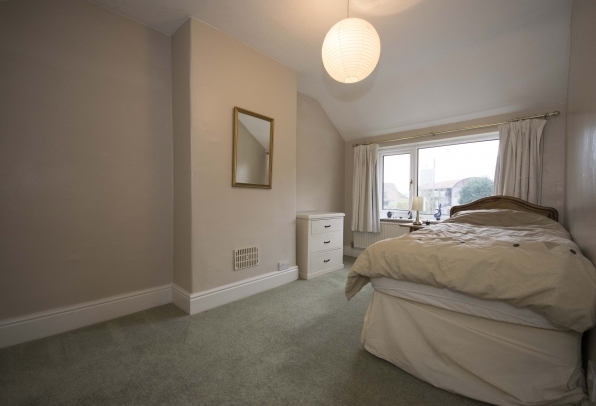 There are front and side aspect windows and an under-stairs storage cupboard. The quarry tiled flooring continues through into a good-sized dining area, with a large side aspect UPVC bay window providing views out over the large garden. 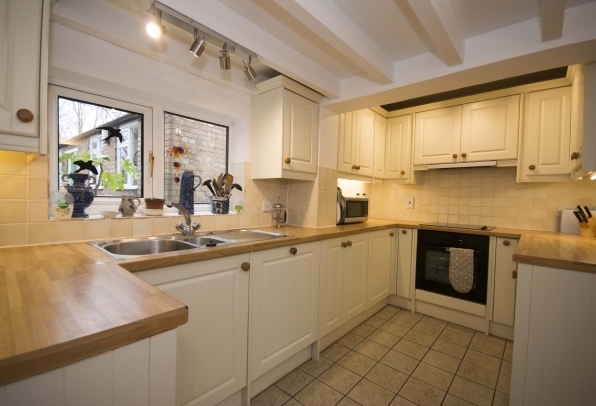 The kitchen features a comprehensive range of shaker-style wall and base units with contrasting worktops, 1.5 bowl stainless steel sink and drainer unit, fitted dishwasher and fridge, a built-in electric oven with gas hob and extractor hood over. There is tiled flooring, with tiled splashbacks to the walls. Off the kitchen, a fully glazed door leads into a third reception room/study which has a front aspect double glazed window. 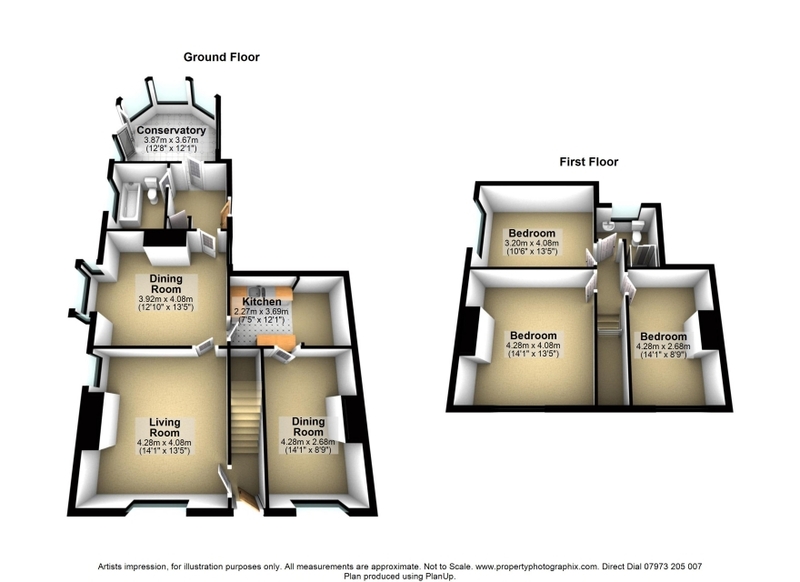 The utility room, having black and white tiled flooring with contrasting wall tiling, a floor mounted oil boiler, worktop with plumbing under for washing machine, a wall mounted cupboard and external door leading out to the rear garden. 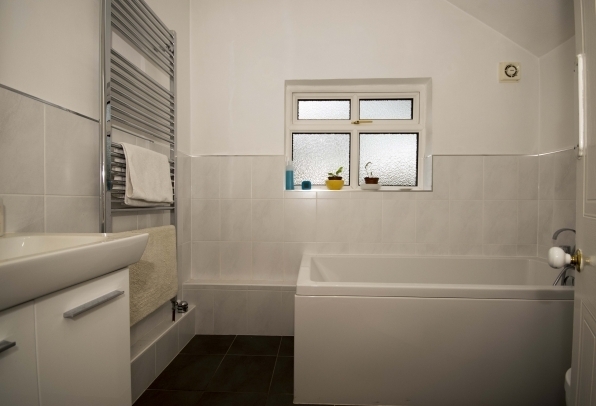 A downstairs bathroom with a white suite comprising of a bath with mixer taps over, hand wash basin and vanity unit, low level WC, heated towel rail, tiled flooring and partially tiled walls. 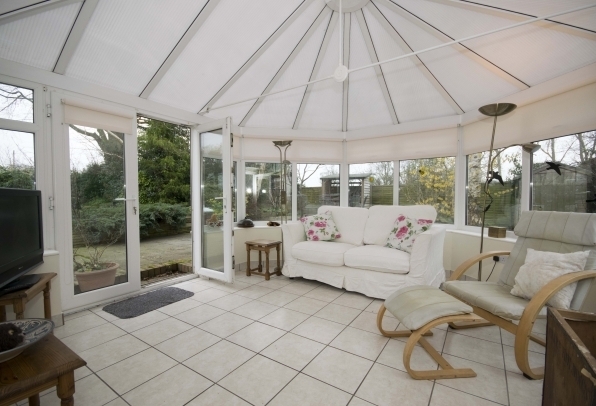 The spacious conservatory has thermostatically controlled under floor heating and provides excellent additional living space with views over the attractive garden areas and double doors leading out to the patio. Three double sized bedrooms, two of which are front aspect rooms, the third bedroom overlooking the side aspect gardens. 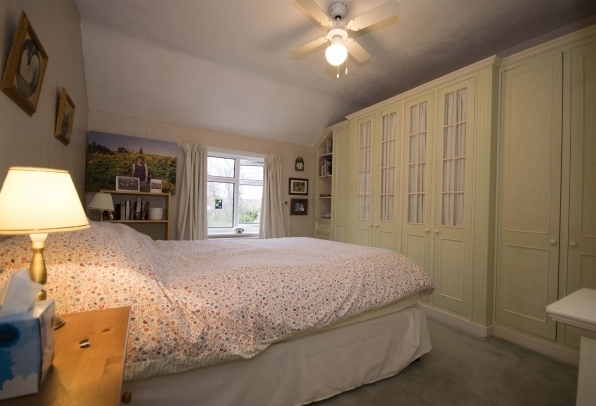 The third bedroom is also complimented by an excellent range of bespoke fitted wardrobes and shelving units. A shower room comprising of a fully tiled built-in shower cubicle with electric shower, hand wash basin, WC and heated towel rail. There is tiled flooring and partially tiled walls. 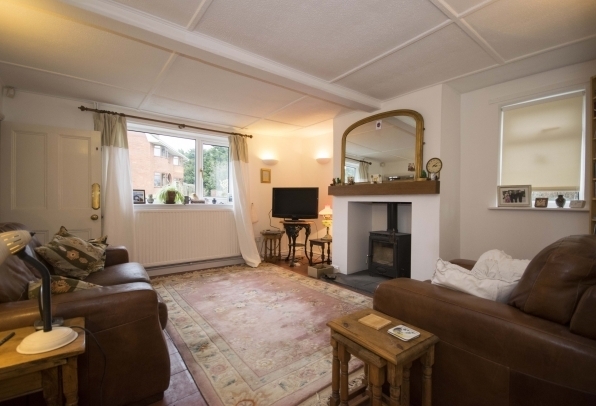 The property has two separate driveways, one of which leads to a garage and the other providing additional parking alongside the property and garden areas. 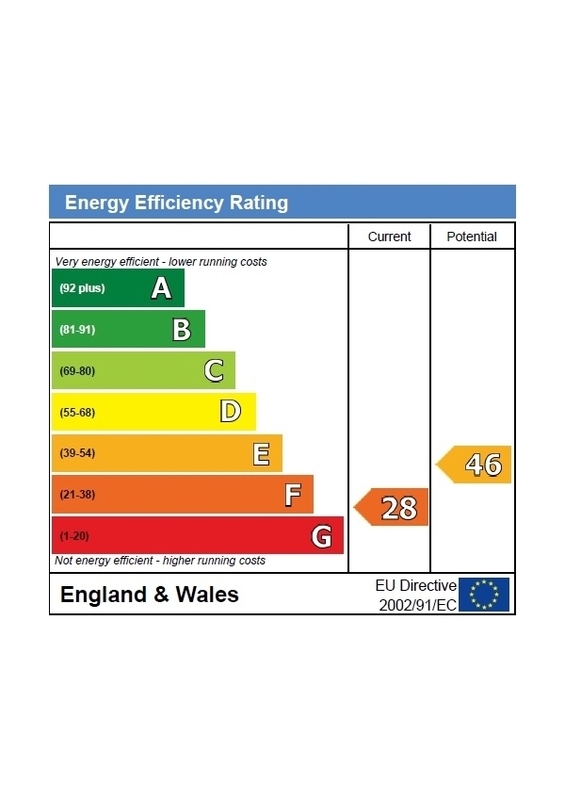 The large detached garage provides an excellent opportunity for adaption to suit various uses, including a workshop, studio or office/storage space, and has electrical power points, lighting, double door access to the front, windows around and side access doors. In addition there is an outhouse building which has been insulated and shelved and an outside WC. 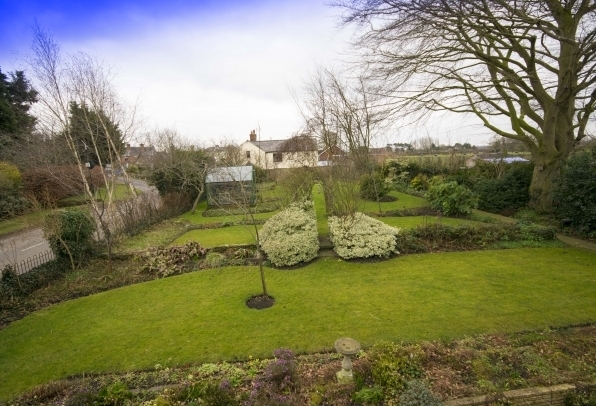 The generous sized gardens are a particularly attractive feature of the property and provide scope to be developed to suit individual requirements. Approached through double wrought iron gates, there is a large paved driveway and patio area to the side and rear of the property with retaining wall and pathways leading up to the raised formal lawns which are bordered by mature flowerbeds and specimen shrubs. The adjoining fields and open landscape to the rear of the property offer superb views over the surrounding countryside. Mains electricity, oil, water. Septic tank drainage. The water system is a pressure system providing high pressure to all points in the property.